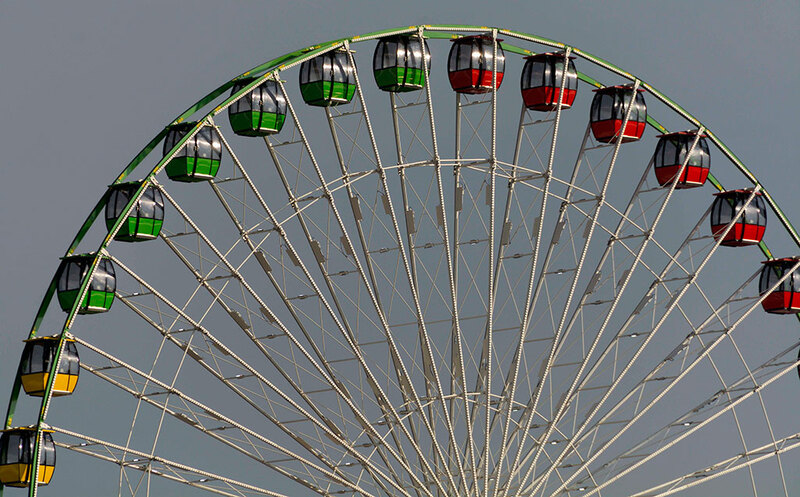 Morning light strikes the Sky Eye Wheel, the largest portable Farris wheel in North America, at the Oklahoma State Fair Sunday. 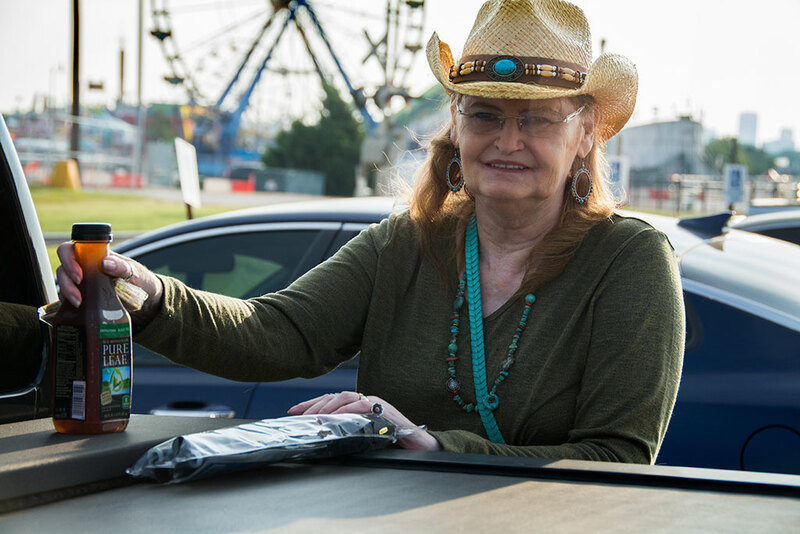 Abby smiles for me as we prepare to spend the day at the 2017 Oklahoma State Fair. 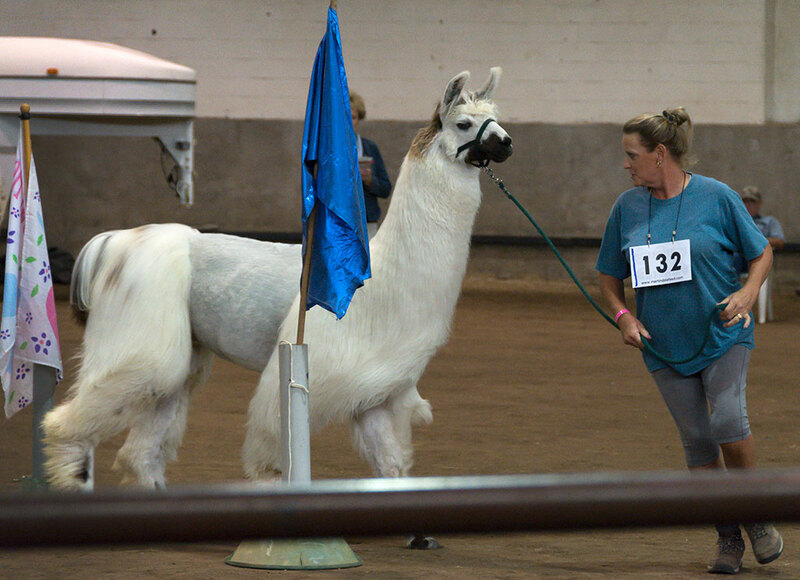 A trainer takes her llama through an obstacle course. 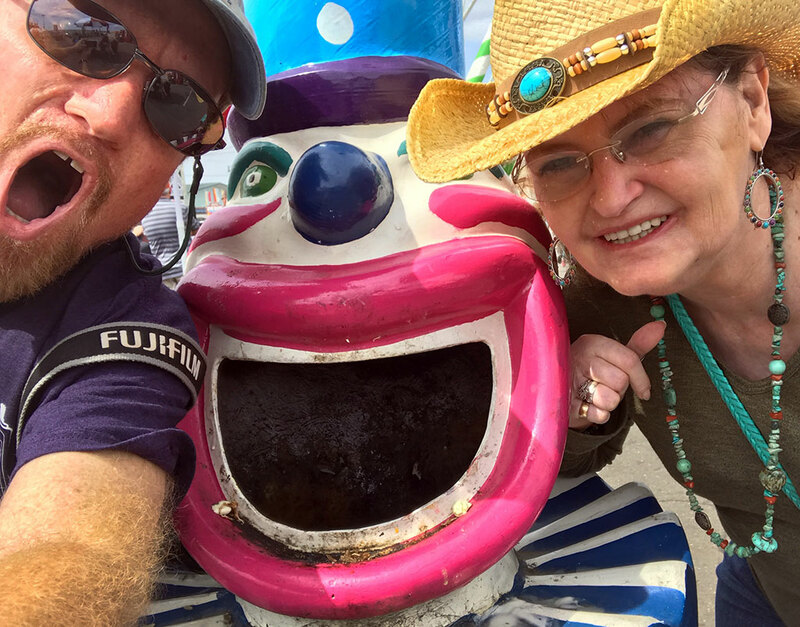 Abby and I spent Sunday at the 2017 Oklahoma State Fair. Readers might remember that she and I did this last in 2014. Abby loves the fair, particularly the draft horses, so we attended again. In the morning, we watched the llama show, then the donkey show. 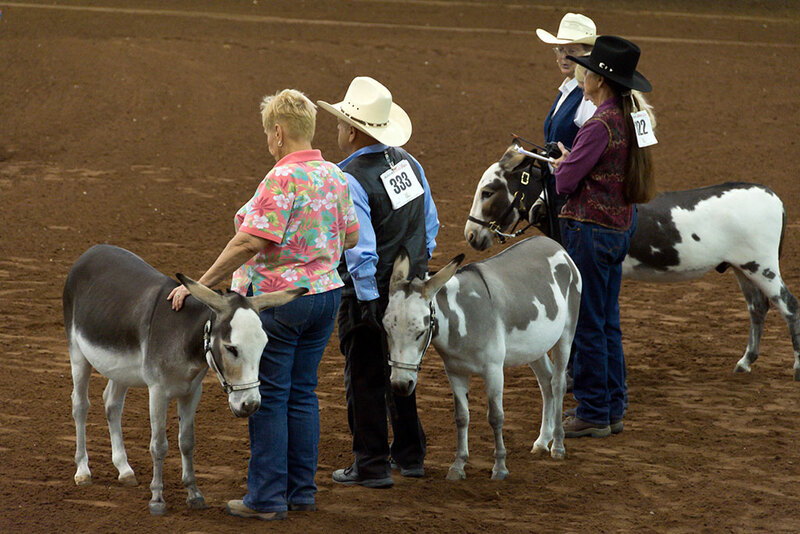 Owners and their donkeys wait their turn to compete. The llamas were surprisingly beautiful. The donkey show was very amusing because the animals were stubborn and awkward. 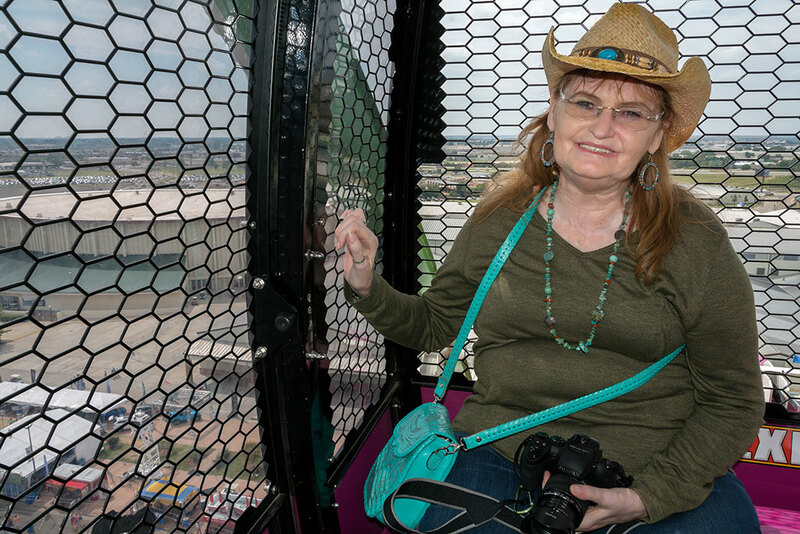 At midday we got a bite, then rode the 155-feet-tall Sky Eye Wheel, the world’s largest traveling Ferris wheel. There is something inherently romantic about riding the Ferris wheel with your sweetheart. Abby smiles from atop the Sky Eye Wheel, which is 155 feet tall and, at least from what I could tell, held together with giant cotter pins for easy assembly and disassembly. Abby was not comforted by this notion. 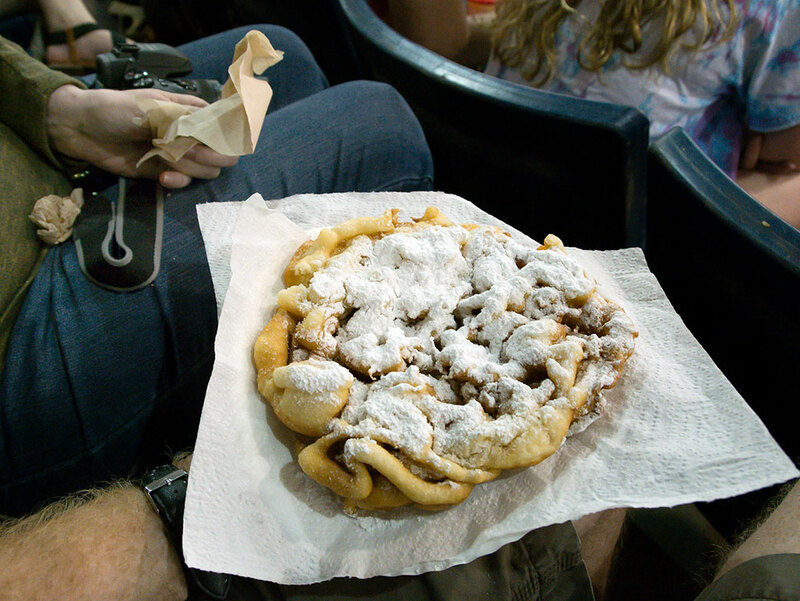 Few things in the world are as empty of nutrients as funnel cake, but it was fun to eat. 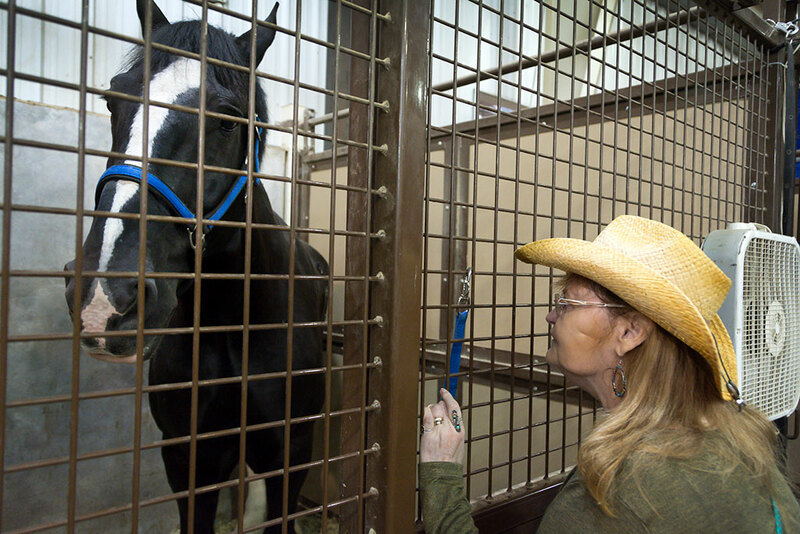 Abby flirts with a Belgian draft horse. To give you an idea of the size of this animal, Abby is 5 feet 7 inches tall. 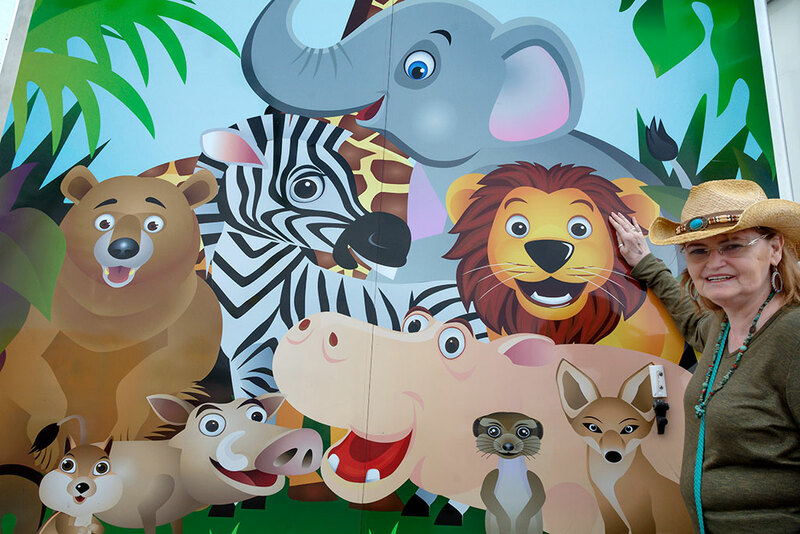 Abby asked me to photograph her with this decorative panel of animals on the midway at the fair. Abby loves animals. Abby and I spotted this ridiculous trash can cover on the midway. If you are afraid of clowns. you shouldn’t have looked at it. 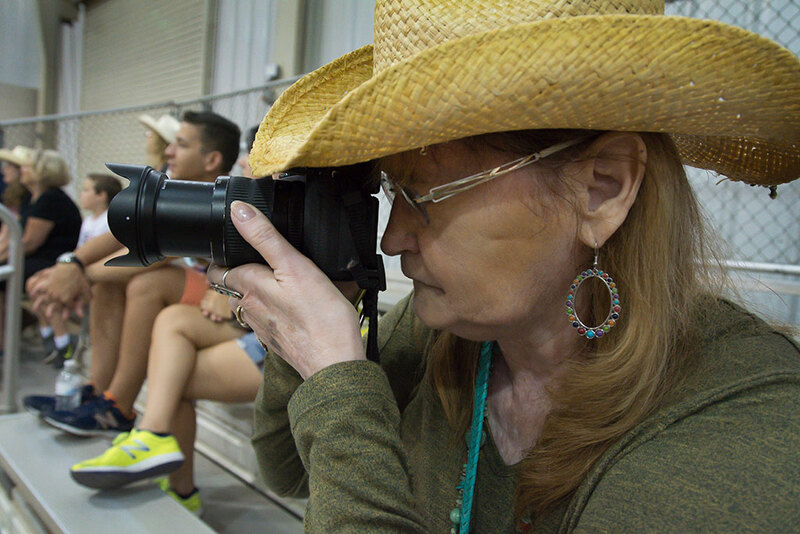 We saw both classes of draft horse pull competitions, which was popular and engrossing. Abby and I found ourselves rooting for the animals to succeed. Several of the teams managed to pull sleds loaded with more than 11,000 pounds. 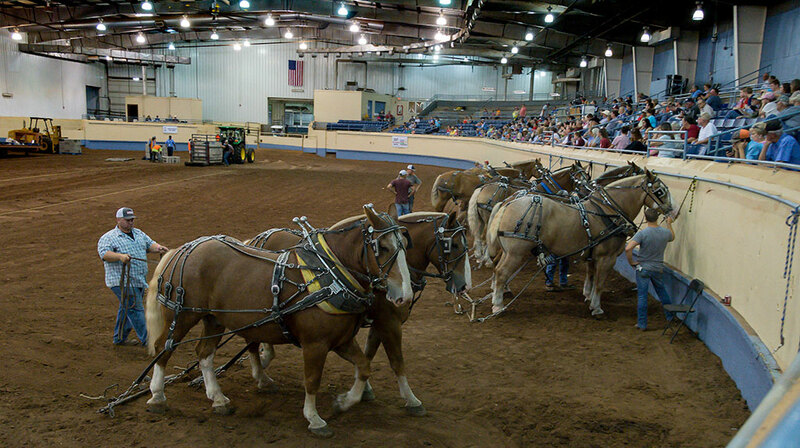 Draft horses and their teamsters prepare to compete in the Performance Arena. Each of these animals weighs as much 1800 pounds. 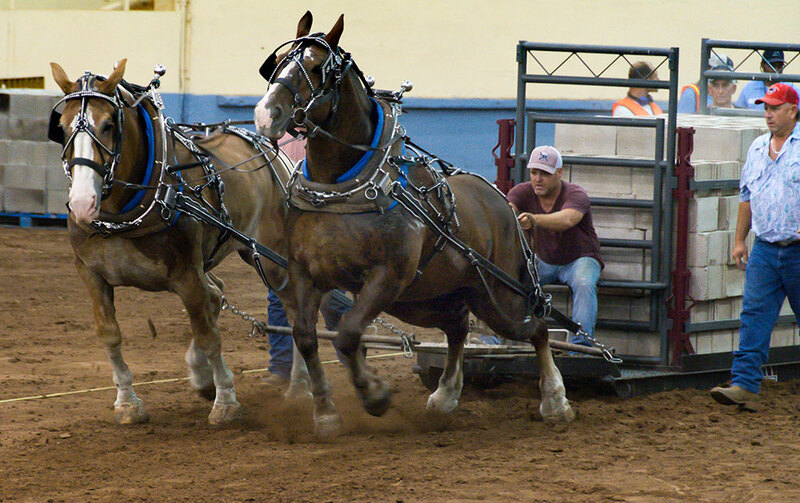 Draft horses pull a sled with more than 10,000 pounds of bricks on it. The competition was surprisingly engrossing. Abby plants one on me at the end of a fun day at the State Fair. 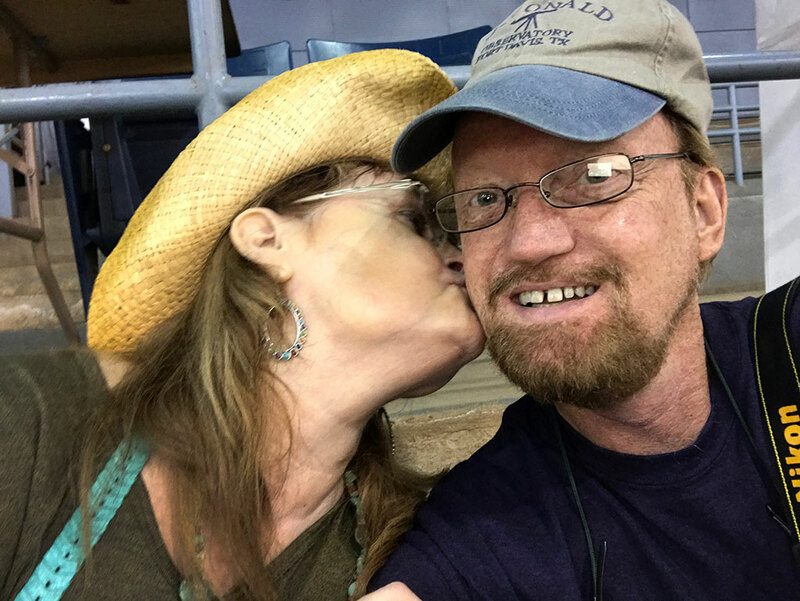 Finally, we spent the night in Oklahoma City’s Bricktown so we could go to a medical appointment Monday morning. 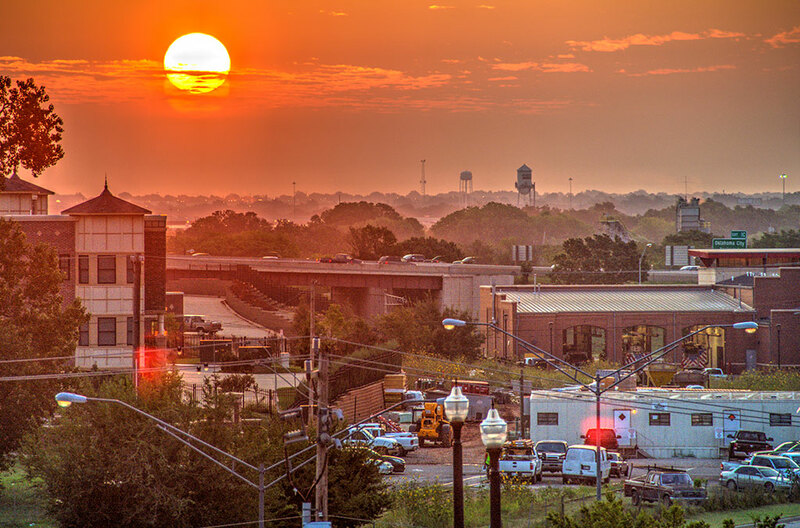 The sun comes up over downtown Oklahoma City. 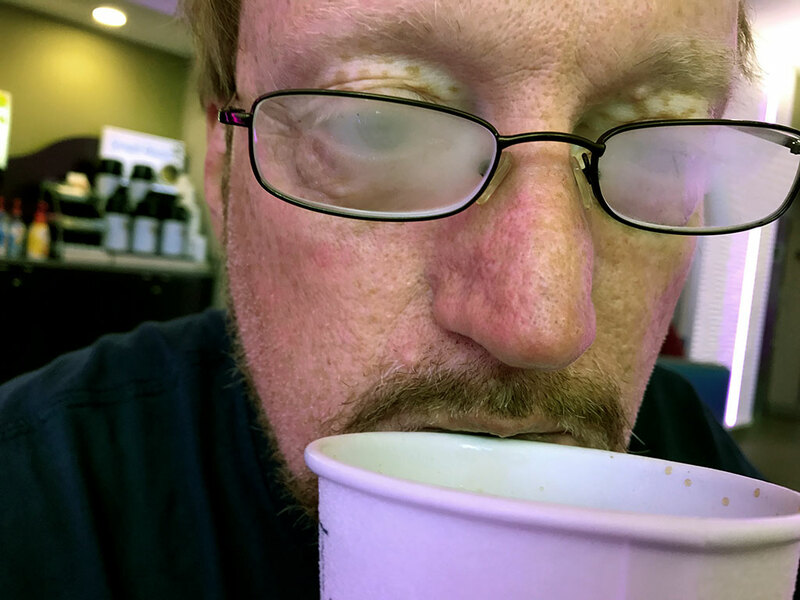 Your host fogs his reading glasses with steam from his morning coffee. I do not care for funnel cake, but other than that, I wish I’d have been there. Two things: (1) beautiful sunrise photo. (2) I wish state fairs were in December. At least around here, it’s just too hot this time of year.